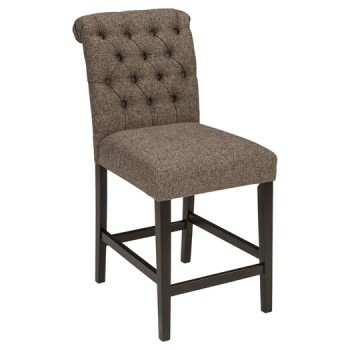 This bar stool arrives at the table with full scale comfort. Classic tufting dresses up the beautifully curved back. Both seat and back are firmly cushioned and covered in a graphite textured upholstery.